Former Bauhaus bassist David J is poised to release a new solo album called Not Long For This World — featuring new songs and covers of tracks by Smog, Ed Harcourt, Tom Waits and Dennis Wilson — and he’ll revisit his Love and Rockets tenure by playing two California shows next week with tribute act Luv’n Rockets. The Kickstarter-funded album, which had been scheduled for release this week, is now arriving Nov. 1 on Starry Records. The 12-track collection — described as “rich, gothic cabaret-inspired album” — will be released on CD and a limited-edition double LP that will feature a signed piece of “one-of-a-kind” artwork created by David J representing each song. 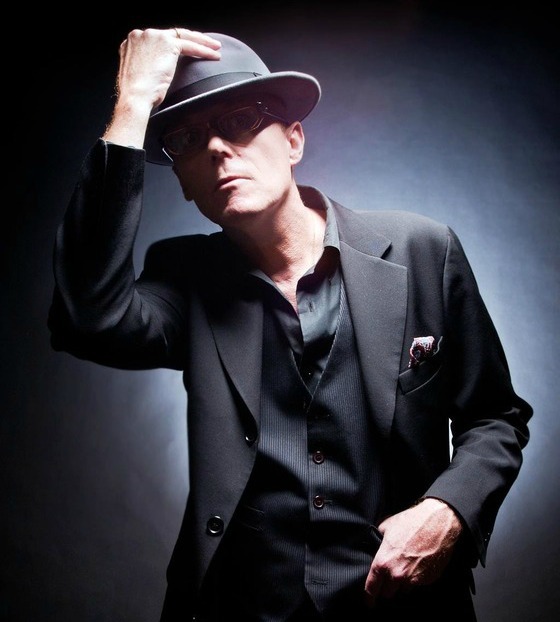 Before the album arrives, however, David J is slated to front tribute band Luv’n Rockets for a pair of California concerts — Monday in Oakland and Tuesday in Fullerton, in the Los Angeles area — during which he’ll perform full sets of songs by the defunct Love and Rockets. Finally, David J has a pair of theatrical productions on tap in the Los Angeles area. He’s staging “The Chanteuse and the Devil’s Muse” on Nov. 12; below, you can see a private performance of some of those songs, plus Bauhaus’ “Bela Lugosi’s Dead,” filmed by Dustin Lane. And he’ll also stage “Silver for Gold (The Odyssey of Edie Sedgwick)” from Nov. 30 to Dec. 4.